Mahakavi (great poet) Bharati (Dec 11,1882- Sept.11, 1921) was a freedom fighter, religious devotee, spiritualist and an amazing poet. Above all he was a great thinker. He had a rare insight into the past, present and future. 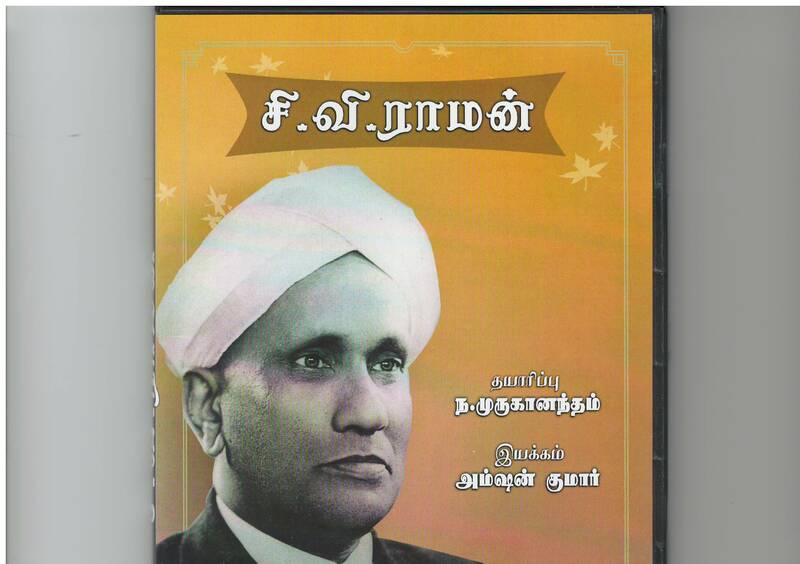 He used his insight for promoting the welfare of Tamil language, Indian nation and its people. He thought objectively on how to obtain India’s freedom from British rule and turned these objective thoughts into motivating poetry. He thought objectively on how to rescue Tamil language from the elite and brought a new era to Tamil language. Simple words, simple style, simple meter and popular tune became the hall mark of Bharati and gave new life to Tamil language. He looked at the Hindu religious classics with reverence and turned them into poetry that can be used in arts like music, dance and drama. As an objective individual, he picked certain spiritual thoughts in Hinduism and promoted them in his poetry so that anyone can appreciate them irrespective of religious affiliation. He advocated the value of all religions and sang the praise of Hindu, Christian, Moslem and Jewish religions. His poems demonstrated the need for religion and the beauty of religion. It is amazing that he accomplished all these feats within a short life of 39. Bharati considered the welfare of an individual as important as welfare of the country, language and religion. He paid attention to traits that will promote the welfare of country, society and language. He advocated these traits and repeated them again and again like Mantra whenever possible in his works. “Thou shalt not lie” is one of them. A few examples will illustrate my point. 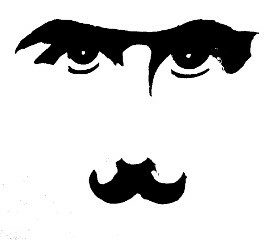 In his “Child’s Song (Paappa Paattu)”, he advised the children to develop the habit of not lying. Bharati was well aware of the traditional ethical texts in Tamil which always said “never resort to lying”. He recommended the same to the children when he recommended a way of life for them. 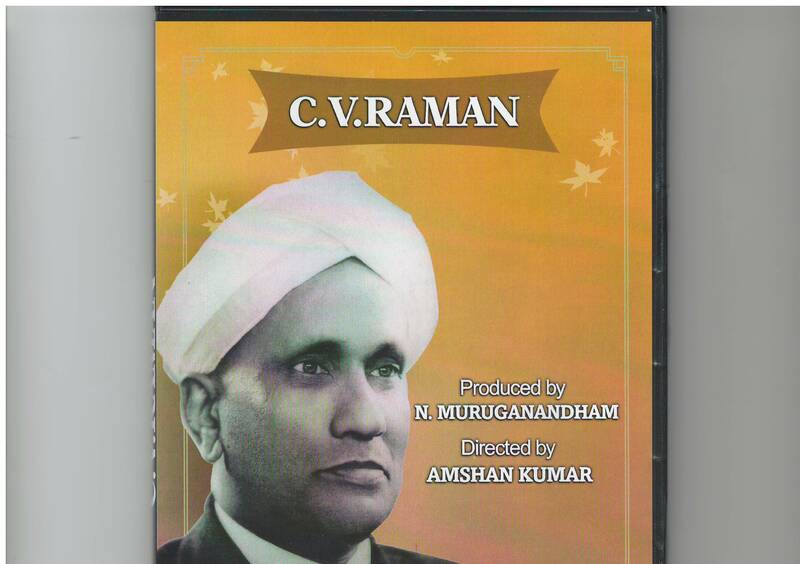 Subramania Bharati is a documentary produced by me and directed by Amshan Kumar. It was released in 1999. In this documentary a contemporary of Bharati, Kalyanasundaram recalls an episode he witnessed when he was with Bharati. The incident took place in Kadayam, home town of Chellammal Bharati. This is the time period when Bharati took refuge in Kadayam as an outlaw, an activist and an eccentric. Bharati used to hang around with children during these days in the hillside behind Kalyani Amman temple. 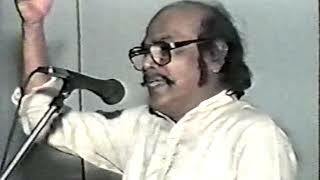 Kalyanasaundaram was one of the children in Bharati’s circle. One day, Bharati brought a bunch of post cards and left them on the ground. While he was concentrating on writing a card, a child by name Ramiah stole the blank cards on the ground without the knowledge of Bharati and hid them in his waist using his loin cloth called Veshti. When Bharati noticed the missing cards, he asked the children whether anyone has seen the cards. Everyone including Ramiah said no. Bharati noticed the strange look of Ramiah and his bulging waist and asked him to untie his loin cloth. When Ramiah untied the knot, cards fell on the floor. Instantly, Bharati spanked him on his seek. Ramiah started crying. Bharati folded his hands together in the good will gesture and told him “Do not cry. Do not lie. That’s why I spanked you. You stole it but lied when I asked. By lying you are making others thieves. Never tell lies. You don’t need courage to tell a lie. You need courage to tell the truth. Hereafter don’t lie. OK, go and carry on with your play”. Mr. Kalyanasundaram brings Bharati alive in his narration. This incident shows not only Bharati wrote “abstain from lie” in his advice to children but also demanded it in real life. Bharati wrote many devotional poems on Lord Kanna (Krishna). They are popular even after 100 years. In one of the poems he warned the liars that they can expect the wrath of Krishna who bestows boon to the truthful and misery to the liars. And sweet in the ripe fruit? O Lord Kanna! And kill them that are false? O Lord Kanna! This song is a devotional poem. Even here Bharati upholds his beliefs about truth and falsehood. There is an incident in Bharati’s life described in his autobiography, Bharati 66. Bharati had a habit of meeting street saints and interpret their signs and language philosophically. Once he met a vagabond saint “Kullaswamy” (short saint). The street saint was carrying a bag full of dirty clothes on his back. When Bharati asked him why he is carrying such a bag, Kullasamy replied to Bharati’s amazement “ I carry the dirty bag outside but you folks carry it inside” Bharati interprets as we carry lies, old, useless fake stories inside our minds. They go against common sense. Bharati uses “simile” liberally just like any other poet. Interestingly his “simile” will instantly reveal he is a “great poet”. Panchali Sabatham is a short epic written by Bharati. It is an allegorical work where Bharati compares the freedom of Mother India to freedom of Draupati in the great Indian epic Mahabharata. It is truly a modern epic. There is a climax scene in this epic. The bad character Duhshasana strips the sari of Draupati to shame her in public court. When he starts stripping, Draupati prays to Lord Kanna (Krishna) to rescue her. The miracle occurs. The sari starts growing. It grows and grows. Endlessly it grows without any limit. Bharati, the Great Poet uses a set of simile to describe the endlessness. Grew and grew and grew on her. In this passage Bharati condemns the base liars by saying misery will come endlessly to such people. Here the “lie” is used in the context of society especially for women’s emancipation. Bharati wishes endless troubles for those who oppose women’s education by spreading lies such as women’s place is kitchen and not school. By the same token, Bharati wishes endless wealth to those who consider women as domestic lamps that spread the light of knowledge to the family. The spirit of the great poet soars sky high in these passages. Bharati had a keen insight into what to reject and what to welcome when India gains freedom from British rule. He wrote a poem entitled “Ring out the Old, Ring in the New”. In the section on “Ring out the Old”, he wants the mentality of people who assumes lies as truth and truth as lies to leave the country. You, of clouded vision, away! In the section on “Ring in the New” he welcomes the mentality of people that accepts truth as Vedas and rejects lie as falsehood. Hail as very Vedas a work of truth! You who are averse to falsehood, welcome! I bid you welcome, router of false works! In these poems, I believe Bharati considers ideas that go against common sense as lies and falsehood and bid them farewell. At the same time Bharati elevates sensible ideas to the level of truth and welcome them to the new nation. Bharati visualizes future India to be a fair nation and a modern nation where common sense and scientific thinking prevail. Who belongs to upper class? One who sells the fruits? Bharati declares the new standards for the new independent India in this poem. It is interesting to note the poem was written by Bharati 25 years before India’s independence. He gave the title as “our religion” and signed it as a “Tamil who regained new life”. As noted in the above examples, Bharati wanted to remove falsehood from daily life, religion, politics, business and status of women. He wrote accordingly in his prose and poetry. Are these writings valid for the current India? I’d think so. India gained independence, 25 years after Bharati’s death. In the following 70 years, India has advanced in many areas to a level which would make even Bharati happy. However progress has to be made in areas such as politics, government offices, panchayats and various businesses. Lying and corruption are rampant. The current situation is not good for the people. If India wants to become a developed country in economy and science, it has to pay attention to Bharati’s Mantra- “Thou shalt not lie”. Corruption is a child of lying. People should expect a corruption free atmosphere. They should demand it from their political leaders, government officers and businessmen. They shouldn’t hesitate to fight with authorities democratically by making use of the election process. In these days of globalization, whenever we visit a developed country we notice the corruption is less and honesty is more in that country. Lying, the modus operandi of corruption is almost absent in the public places and public transactions. In this context, I have to share my personal experience in USA. I have lived here for many years and noted the fact that an average citizen is trustworthy. He is reluctant to lie. The system is designed in such a way that an ordinary citizen can live with self respect without any need for lying in work place. He can conduct his business with others without any need for lying. Politics, government, businesses and social organizations are built on this foundation. There are people who go against these principles and resort to lying and corruption. But they cannot escape the scrutiny of law in the long run. Lies can prevail temporarily for a day but they will be exposed either tomorrow or day after tomorrow with dire consequences. The constitution, law and jury system are designed to catch and punish those liars who propagate corruption in public places and society. Newspapers, magazines and TV are in the business of exposing such liars in public life. It is good business for them. It is profitable to speak truth here and one will incur loss for being dishonest. This is the strength of American democracy. I believe the same principles hold good in all developed countries. Truth has become a measure or scale of progress in these countries. Bharati repeated “do not lie” message like a Mantra in his works. This Mantra is always useful; everywhere useful and for everyone useful. I believe Bharati, as a deep thinker, analyzed this message logically in terms of the welfare of an individual, society and country and advocated it consciously in many places in his work. It is his Mantra. It is a useful Mantra. It is an effective Mantra.